Iran has banned the flight of private drones in Tehran, just weeks after at least two devices were shot at over security concerns in the capital. The flight of privately-owned quadcopters and drones equipped with cameras has been banned in Tehran, a deputy head of Sarallah military headquarters, affiliated with the Islamic Revolution Guards Corps (IRGC), told Tasnim news agency on Monday. “Based on an instruction which was recently issued to ban the unauthorized flight of quadcopters and private drones, we have banned these devices from flying as they had created security and sometimes social and psychological problems in the society,” said General Alireza Rabi’ei. He noted that some citizens have also complained about the flight of private drones shooting footages of their residences. “These quadcopters are equipped with cameras and can fly over sensitive sites, film them and be exploited by the enemy,” he added. The general said, however, that any drone flight must have authorization from the Ministry of Culture and Islamic Guidance or the Islamic Republic of Iran Broadcasting or the Ministry of Sport and Youth Affairs. Iranian Air Defense Forces recently identified and shot at an unmanned aerial vehicle that had neared a no-fly zone in central Tehran. 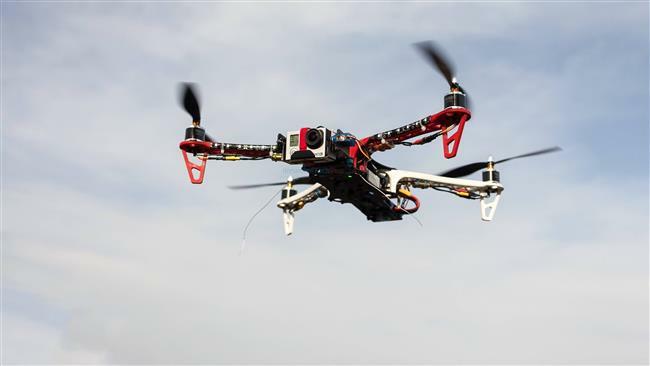 “This afternoon, a quadcopter that was approaching the no-fly zone in Tehran from the Valiasr Square district was identified,” an official with Iran’s Khatam al-Anbiya Air Defense Base said on January 16. The deputy commander of the Khatam al-Anbiya Air Defense Base for operations, Alireza Elhami, said the quadcopter had entered the no-fly zone in central Tehran and the base had carried out its routine task. “After initial shots at the flying [object], it left the area and went away,” he added. On December 23, 2016, Iranian Air Defense Forces shot down another flying object which was being operated by a film crew in central Tehran, recording aerial footage for a documentary for state television. The flying object had reportedly entered the no-fly zone in central Tehran by accident.